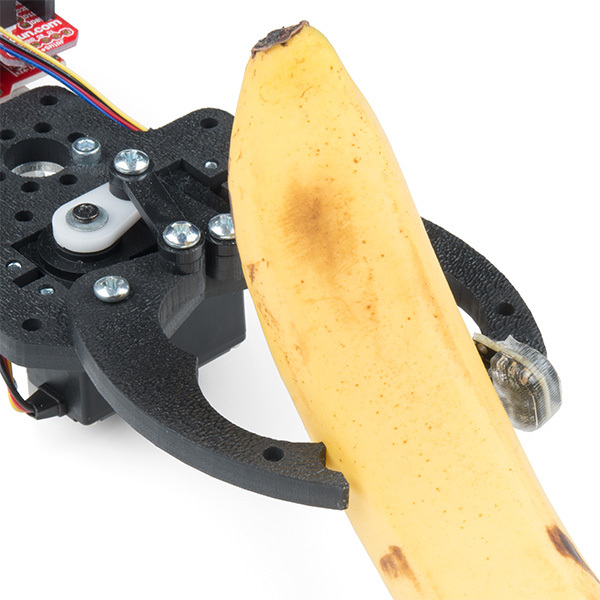 Does your robot crush objects with its hulkishly strong grip? Give your robotic hand or claw a better sense of touch with the Robotic Finger Sensor. This new version adds pressure sensing so now you can know how hard you’re gripping! The Robotic Finger Sensor (RFS) uses a unique combination of infrared distance sensing, pressure sensing, optical encapsulant, and data filtering to detect extremely light touches. Additionally, the silicon covering is squishy, giving the sensor increased grip (friction). How does it work? IR light from the VCNL4040 distance sensor dramatically scatters when an object like a white coffee cup or human skin comes in contact with the face of the sensor. 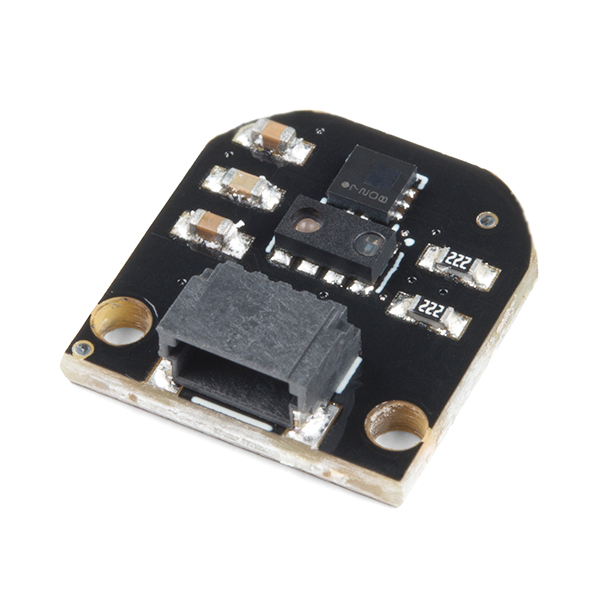 Once contact has been made the LPS25HB pressure sensor is able to quantitatively detect how hard the sensor is pressing against the surface. We’ve written fully featured Arduino libraries for the VCNL4040 and LPS25HB sensors. The example firmware demonstrates how to capture this signal and turn it into ‘Touch’ and ‘Release’ events. The Robotic Finger Sensor ships fully encapsulated. The additional ‘bare board’ photos are there only to show the detail of the sensors inside the clear encapsulant. The RFS requires 3.3V and communicates over I2C. The connector is compatible with our Qwiic system. The Qwiic system enables fast and solderless connection between popular platforms and various sensors and actuators. You can read more about the Qwiic system here. We carry 200mm, 100mm, 50mm, and breadboard friendly Qwiic cables. 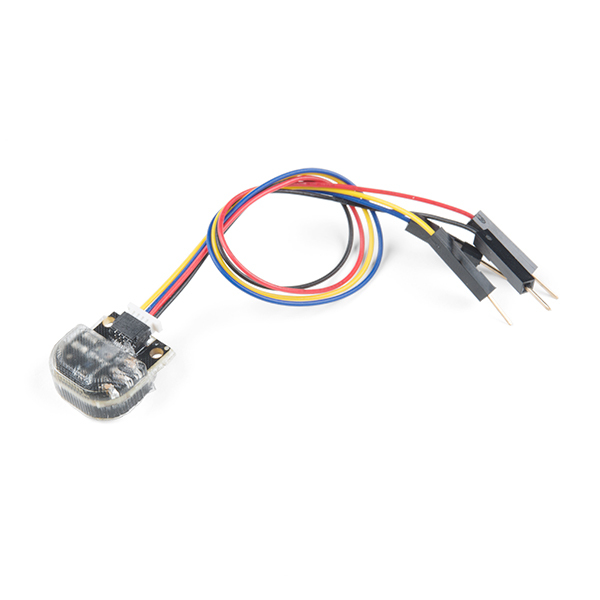 The Robotic Finger Sensor includes a complimentary breadboard friendly Qwiic cable. The board has two small 2-56 screw holes for mounting. Hot glue also works well. This is a collaboration with Professor Nikolaus Correll and Professor Jacob Segil at CU Boulder. A portion of this sale is given back to Dr. Correll’s lab for the continued development of innovative robotic components. What if I need more than one? The sensor has only one I2C address so putting multiple on the bus will cause collisions. Luckily, we’ve got a mux for that! The Qwiic Mux allows up to 4 sensors to be simultaneously connected with the ability to daisychain up to 8 muxes. 32 fingers is a big gripper! Control examples are available here. VCNL4040 IR Sensor Datasheet - A full library is available via the Arduino Library Manager. Search for ‘SparkFun VCNL4040’. LPS25HB Pressure Sensor Datasheet - A full library is available via the Arduino Library Manager. Search for ‘SparkFun LPS25HB’.